Led By Purpose - Welcome Authors! "How will I know when I've found my purpose in this lifetime?" Thousands of people ask this question of purpose every day. Not everyone discovers their purpose, but I did. My purpose was revealed through intuition, energy healing & faith. I discovered it by asking many, many questions of myself and of those around me, and then listening to the answers and guidance. Suesie Turgeon Hartman is a 5th generation psychic and Master Energy Healer. 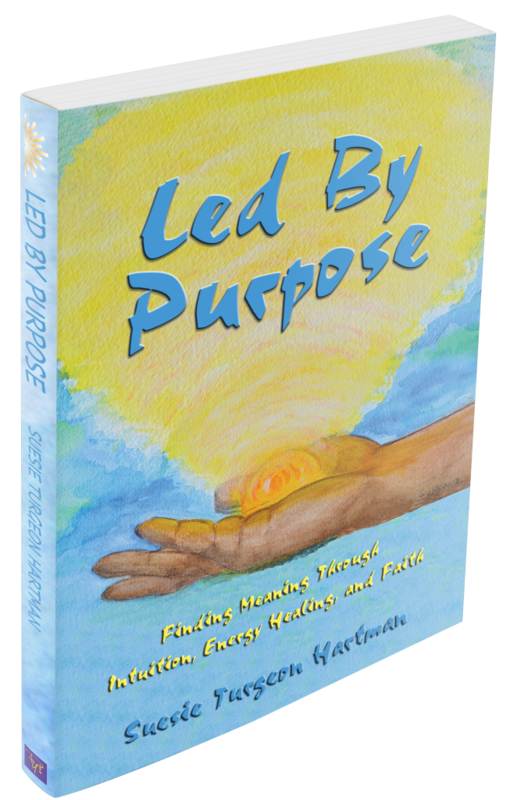 Her life purpose is teaching individuals how to heal themselves and others. Suesie enjoys the freedom, joy, and wisdom earned through living in continuous contribution and service to others, the mystical journey in this lifetime, and following her purpose with trust of all that it is.